Twitter swung to a net profit of $61 million in the first quarter ended March 31, 2018, from a loss of $61.6 million a year earlier. Twitter shares fell on Wednesday after the social network said its revenue growth would slow this year and costs rise as it works to fight the spread of hate speech and allegations of election manipulation through its service. That outlook overshadowed the second profitable quarter in the 12-year-old company’s history, which topped Wall Street estimates for revenue, profit and users. Quarterly revenue jumped 21% to $664.9 million from a year earlier, but Twitter said revenue growth for the remainder of 2018 will be similar to the slower rates of 2016, when annual revenue rose 14%. 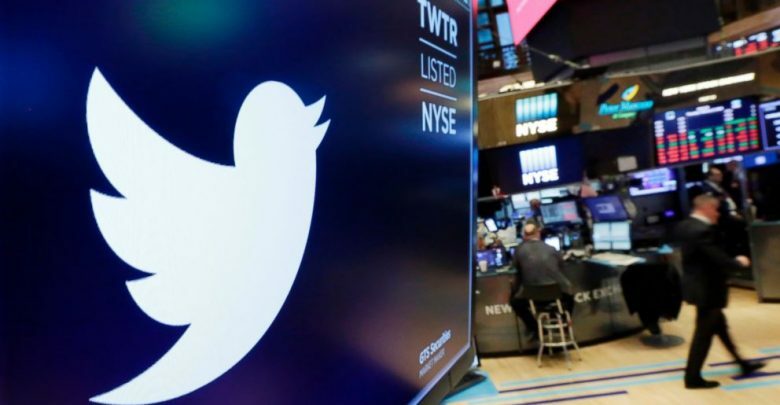 Twitter said its tally of daily active users grew 10% year-over-year, lower than the 12% to 14% maintained in recent quarters, a change that “has spooked investors,” Wedbush Securities analyst Michael Pachter said. International sales accounted for 48% of revenue, growing 53% year-over-year, compared with 2% growth in the United States. It added 5 million new foreign users in the quarter, five times as many as at home. “We are not that far away from international becoming more than half of revenue at Twitter,” Chief Financial Officer Ned Segal told analysts on a conference call, highlighting strength in Japan, Britain, Brazil and the Middle East. But analysts pointed out foreign users are often less profitable for the company. “Adding users in far reaches of the world has very little value for Twitter,” said Ross Gerber, chief executive officer of investment firm Gerber Kawasaki. The social media sector is under pressure from lawmakers around the globe for inflaming political debates, allowing abusive language and failing to safeguard personal data, and tighter regulation could mean higher costs. Facebook has come in for particular scrutiny on that front, with its founder and CEO, Mark Zuckerberg, sitting for two days of Congressional grilling this month about how its users’ data was improperly shared with a political consultancy. Twitter said it expected to increase its workforce by 10% to 15% in 2018 to make discussions on the service more civil, increase ad sales and meet other priorities. Twitter cut its headcount 6% last year. Twitter has tried tweaks to its core product to try to broaden its appeal. Last year it doubled the maximum length of tweets in most languages to 280 characters, and it added customizable anti-harassment tools such as the ability to mute tweets with certain words. The company has developed live shows and broadcast live events to get people to spend more time on the service and to sell video ads to marketers. Videos accounted for more than half of ad revenue in the quarter.